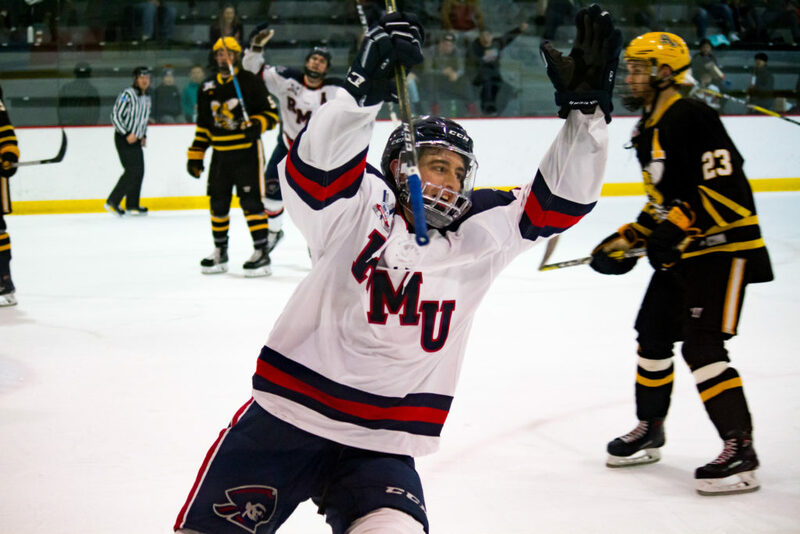 Robert Morris senior forward Michael Louria has signed a professional contract with the Tulsa Oilers of the ECHL, the league announced on Tuesday. Louria, 25, is a native of Gibraltar, Michigan and came to Robert Morris after spending his first two collegiate seasons at UMass-Lowell. After scoring 10 goals and 14 assists in two years with the RiverHawks, Louria had to sit out the 2016-17 season at RMU. Unleashed as a junior, he put up a career-best 14 goals and 30 assist in 2017-18 and followed that up with nine goals and 17 assists as senior this past season. Both of those totals were third on the team, as were his 26 total points. He had 15 points on the power play, which tied him with fellow senior Alex Tonge for the team lead. Tulsa has three regular-season games remaining, all of which will be at home. The Oilers will host Kalamazoo on Friday and Saturday and Wichita to close the regular season on Sunday afternoon. Tulsa is in first place in the Mountain Division, three points ahead of second-place Idaho, and has clinched a playoff berth. Louria is the second of RMU’s four seniors to sign with a professional team. Tonge signed with the Florida Everblades of the ECHL and has three goals in his first three games.